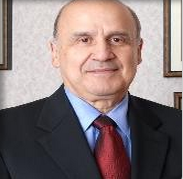 Jaime Carrizosa, M.D., F.A.C.P., F.I.D.S.A. (Emeritus), has twice been named by Orlando Magazine as Best Doctor for Infectious Diseases, most recently in 2006. He received his medical degree from the National University of Colombia, and trained in Internal Medicine and Infectious Diseases at the University of Pennsylvania, in Philadelphia. Dr. Carrizosa is certified in Wound Care and also practices Hyperbaric Medicine.